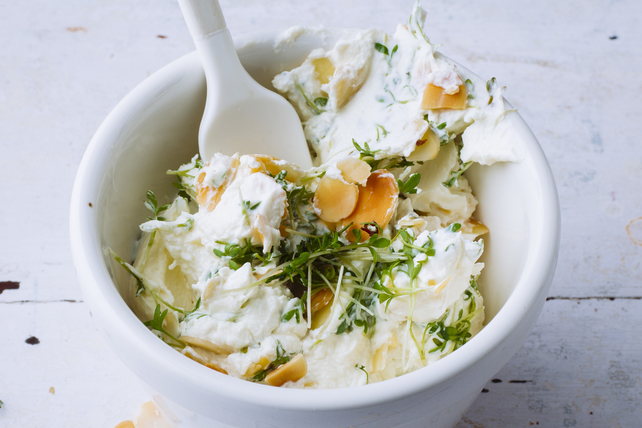 A great entertaining essential, this lemony refreshing dip can be prepared in just 10 minutes. Mix cream cheese product, yogurt and honey in medium bowl until blended. Add lemon zest and juice; mix well. Top with 1/4 cup microgreens before serving. Serve with assorted fresh fruit, such as strawberries and sliced apples.